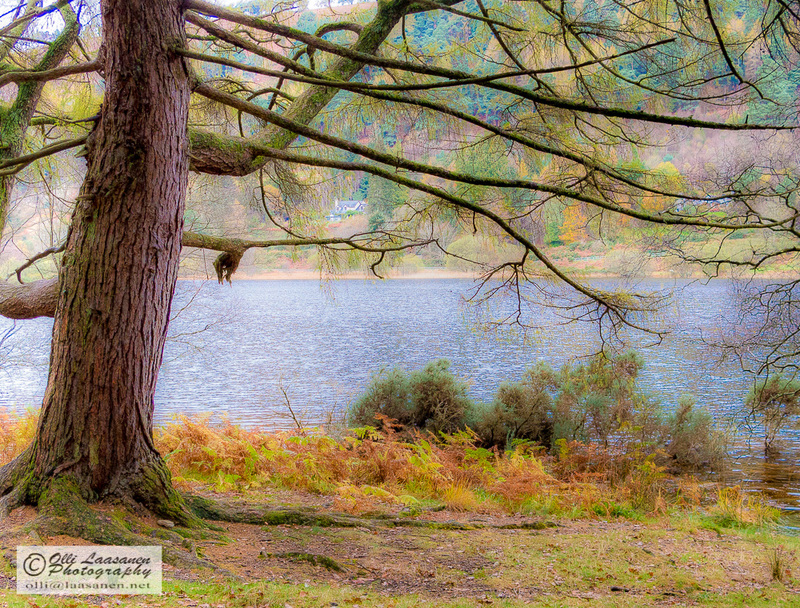 A tree near Lake Glendalough, Ireland in November 2014. This entry was posted in Artsy, Happiness, Ireland, Nature, Photo, photography, Valokuvaus and tagged autumn, colors, Glendalough, haiku, poem, tree. Bookmark the permalink. It seems you’re becoming addicted to colour enhancement of romantic landscapes Olli. What does this look like in reality, I wonder? So do I – reality can be depressing. I love the texture of the tree trunk. The haiku is thought provoking. Dull and grey…yet they are fine colours. Thanks. Are you the author?